Among thousands of restaurants in Ho Chi Minh city, which one will be the best for couples to enjoy an unforgettable celebration with each other? There are plenty of famous restaurant with award-winning chefs, romantic decorations or stunning views for the customers to choose. Most of these dining venues are situated in District 1, which is very crowded. We have found several hidden gems outside the center of Saigon, which you should consider if you prefer a more private meal with your companion. These restaurants can offer you almost everything, no matter what your intention is, from a first date to a wedding anniversary. 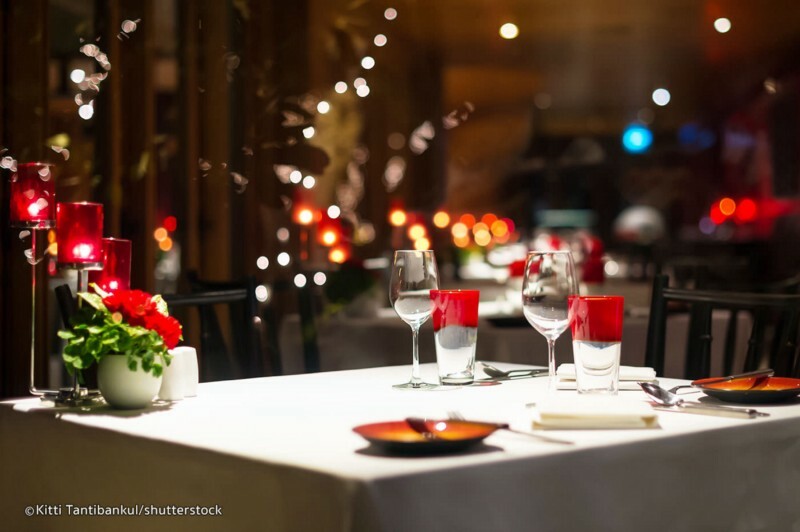 Here is the list of top 5 restaurants I suggested that have a romance-filled evening in a luxurious yet intimate ambience. EON51 Fine Dining is a luxurious dining venue with breathtaking views of Ho Chi Minh City and beyond, where diners can enjoy premium wines and western cuisine in a romantic setting. 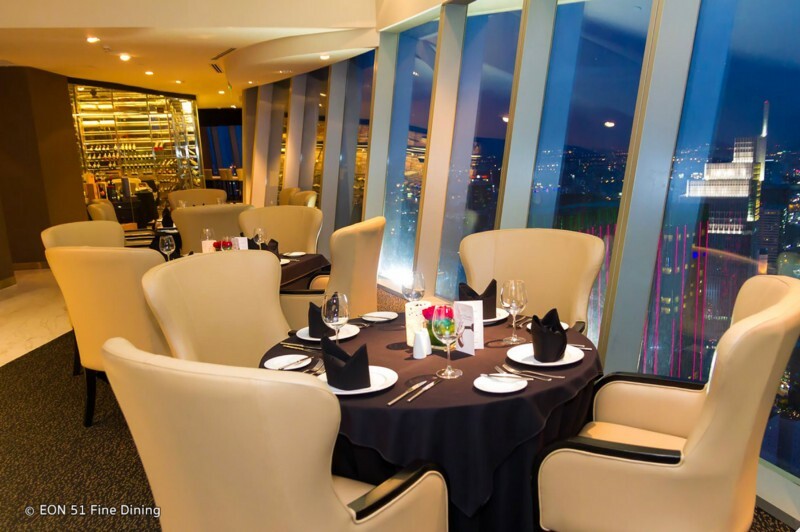 Known as the highest fine dining restaurant in the city, it’s set on the 51st floor of Bitexco Financial Tower (about a five-minute walk from Hotel Majestic Saigon). Interior-wise, the restaurant is fitted with floor-to-ceiling windows, warm lighting, a VIP area with an open kitchen concept, as well as a cellar displaying a broad selection of wines from France, New Zealand, Australia, and Chile. 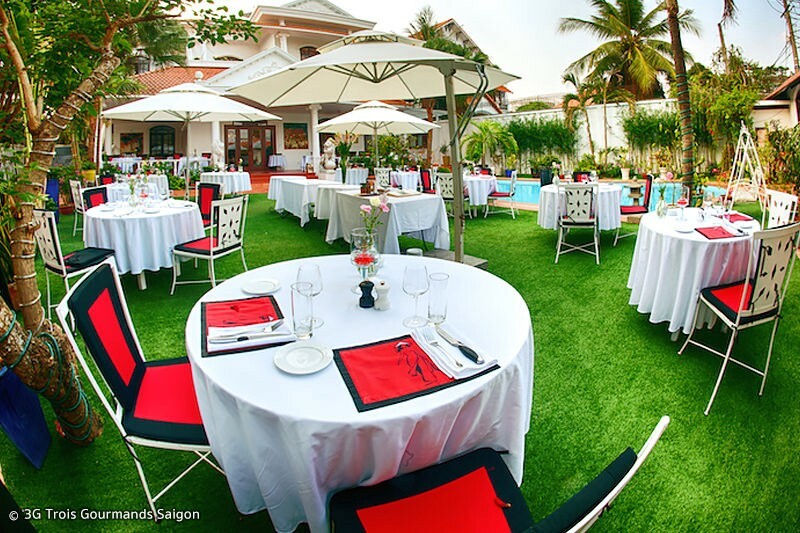 3G Trois Gourmands Saigon is a French restaurant that has been impressing affluent locals and expats since its inception in 2004. Occupying a two-story colonial villa in District 2, its minimalistic interiors and secluded location makes it an ideal venue for romantic dinners. The restaurant also has an outdoor dining section, with plenty of tables overlooking a tropical garden and swimming pool. 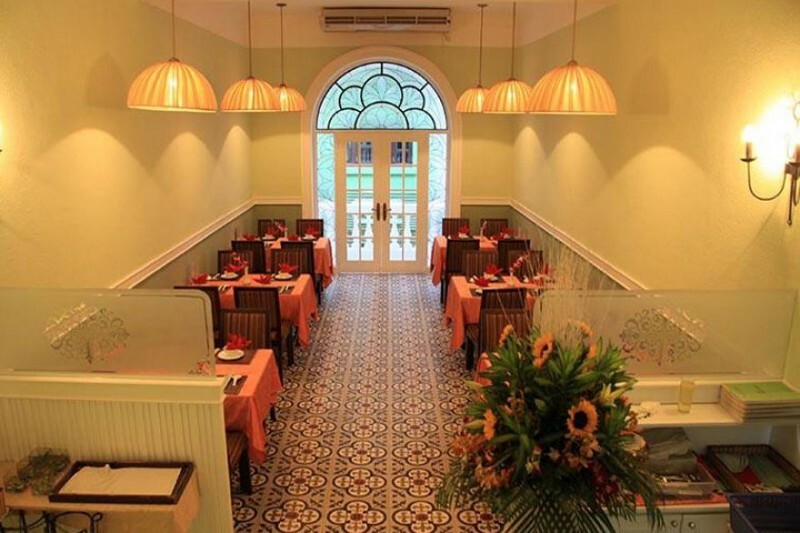 Lemongrass Saigon is a quaint restaurant located in a narrow shophouse in District 1. Serving delectable Vietnamese dishes presented with French flair and providing guests with diligent service, this three-floor restaurant is certainly one of Ho Chi Minh’s top restaurants. Choose from the sizeable range of meat, fish and vegetarian dishes on the a la carte menu or trust the chef and choose one of four set menus available at Lemongrass. Soft candlelight adds a touch of romance to proceedings, enhanced by the live music playing in the background. 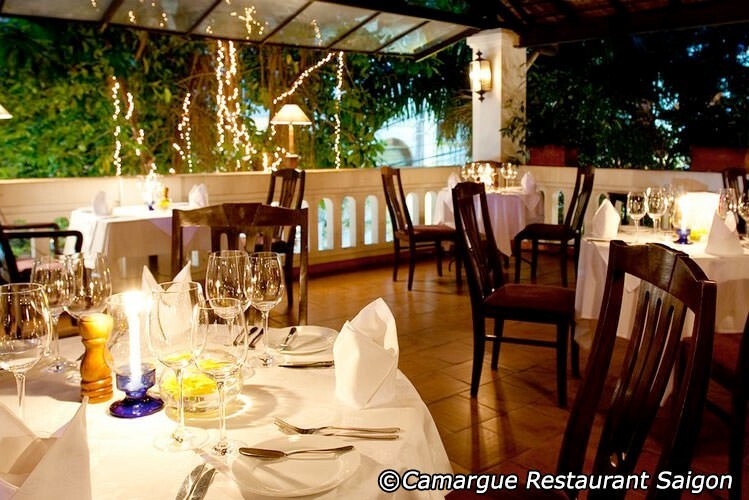 Camargue Saigon is a refined French restaurant set in the courtyard of an old colonial-era opium factory. While not exactly fine-dining, the ambiance is sophisticated and the cuisine available is clearly French with a slight Vietnamese touch. Highlights include seabass and squid served with sweet chard, roast lamb with polenta enriched with Phu Quoc pepper, and crispy pork leg marinated in a slight spice and caramelized artichoke. An excellent wine list is available with several options by the glass. Catering to its loyal clientele, Camargue Saigon also changes its chef’s recommendation menu on a weekly basis to keep things interesting. A classy restaurant and bar in Ho Chi Minh City, The Deck Saigon is a top dining choice among affluent locals and travellers due to its romantic setting, scenic locale, and excellent pan-Asian cuisine. 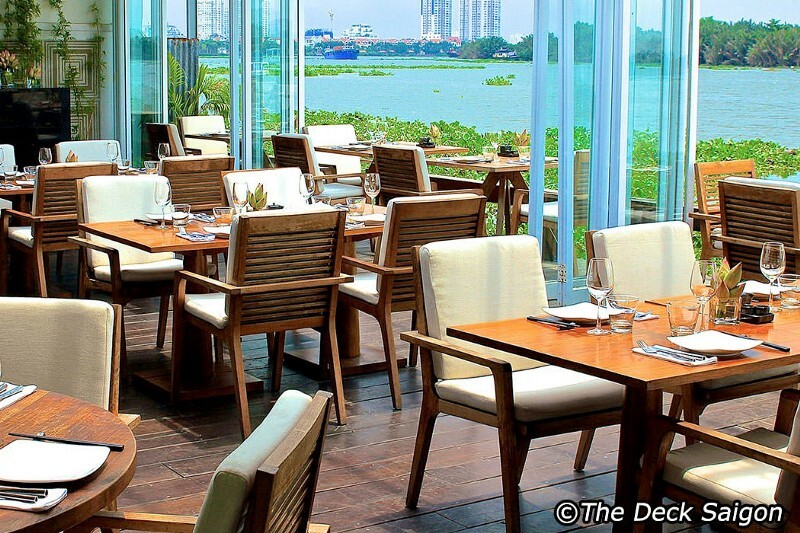 Set alongside Saigon River, the alfresco dining venue is fitted with glass doors, warm lighting, and elegant furnishings by top local designers, as well as an outdoor wooden deck that’s surrounded by bamboo trees and a small pond. The Deck Saigon is open all-day, so you can enjoy a western-style breakfast menu of fruit smoothies, eggs benedict, homemade granola, and pancakes while brunch and lunch offerings range from pan-fried foie grasp and Wagyu beef burger to bento sets and Phu Quoc prawn rolls.